We are having our Spring 2015 Orvis Days, and this Saturday May 2nd will be the Fly Fishing Guest Speaker Special Event day at the store. We will be having several guest speakers in talking about various fisheries that people always want to know about, or should know about in the Pacific Northwest. Below is a lowdown of who is going to be presenting, and when. Presentations will vary in time; so there will be plenty of question and answer time (with the speakers) after they are done with their topics. John Montana, one of the best and most innovative carp fly fishers out there, will discuss fly fishing for carp. John will share with us how to effectively fly fish this smart, elusive, powerful game fish. 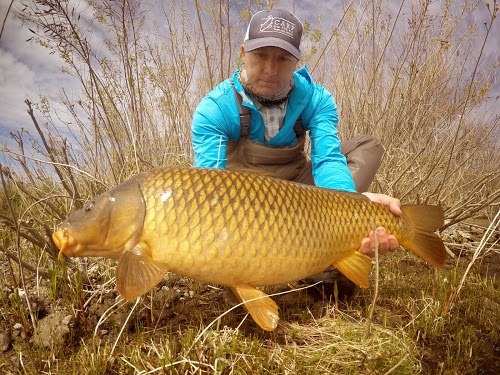 If you haven’t seen John’s blog Carp on the Fly, check it out today. 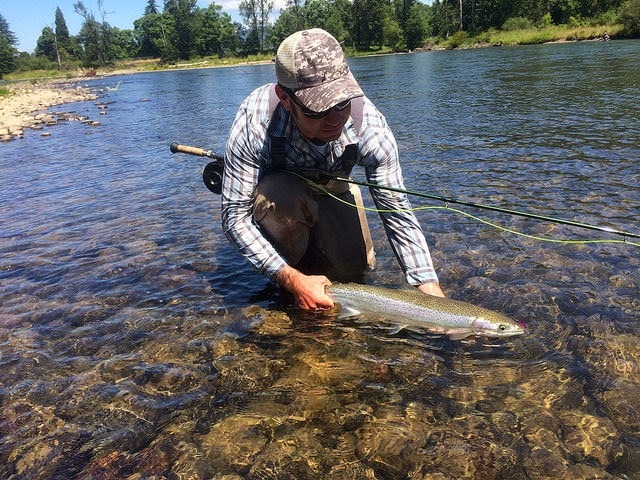 Orvis-Endorsed Guide Ethan Nickel Outfitters will discuss fly fishing for trout and steelhead on the McKenzie and upper Willamette Rivers. Come learn about how close and how great the fishing is for rainbow and cutthroat trout and summer-run steelhead in both of these river systems. 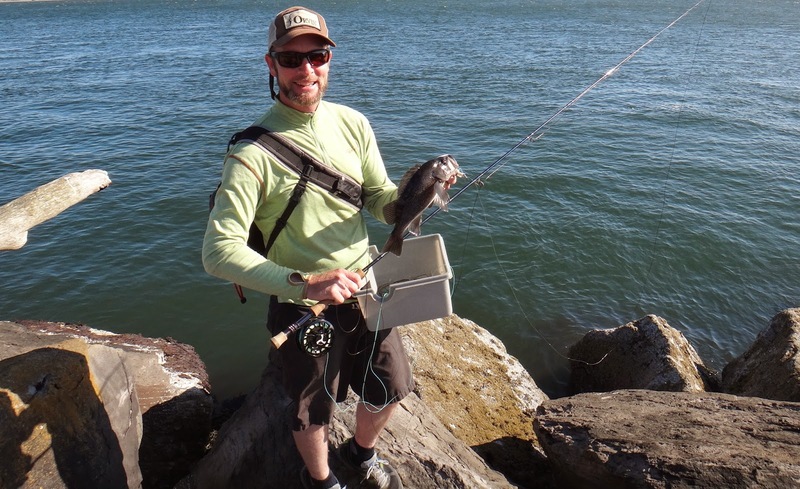 Orvis Portland’s Fishing Manager Brian Marz will discuss fly fishing for Pacific rockfish off of jetties and rocks on the Oregon coast. The Oregon coastal saltwater fishery is an untapped fishery for fly fishers, and this presentation will cover the equipment, flies, and techniques needed to fish for these aggressive saltwater rockfish. Rockfish on a fly rod is an excellent way to spend a day at the Oregon coast. 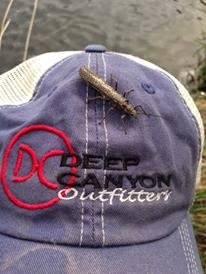 Orvis-Endorsed Fly Fishing Expedition in Bend, OR Deep Canyon Outfitters will discuss and present the Deschutes River stonefly/salmonfly hatch, and how to effectively fish during the hatch.